El Pochos Mexican Grill in Lewiston Maine is authentic Mexican Cuisine at its best. Opened in February 2017 by husband and wife team Todd & Yolanda Macwhinnie and Yolanda’s brother Jose Mata, Pochos has quickly become a local favorite spot for lunch and dinner. Yolanda and brother Jose, originally from Matamoros Mexico, have brought a bit of home to Lewiston Auburn. Head Chef Jose Mata has been cooking since he was 14 years old working the food stands in Mexico, where he learned the secret recipes & techniques of creating the classic dishes now featured at El Pochos. El Pochos is located in Lewiston on Lisbon Street and shares the building with Coast to Coast Gas Station. The have a bar style seating with open kitchen which is cozy and gives you great opportunity to interact with El Pochos’ Staff and watch your food as its being prepared. They also offer Takeout. 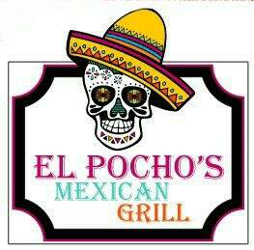 El Pochos menu is straight forward and features traditional Mexican meals such as Burritos, Enchiladas, Tacos (hard or soft), Taco Bowls, Tostadas, Nachos, Baby Chimichangas, Quesadillas, Falutas and a number of side dishes.